Many of the supplies on the needs list can be purchased locally. Hickatee Cottages is happy to assist with local options. Write us at hickatee@gmail.com today and we can provide you with the options available to purchase supplies locally. The Toledo Christian Academy and St. Benedict R.C. 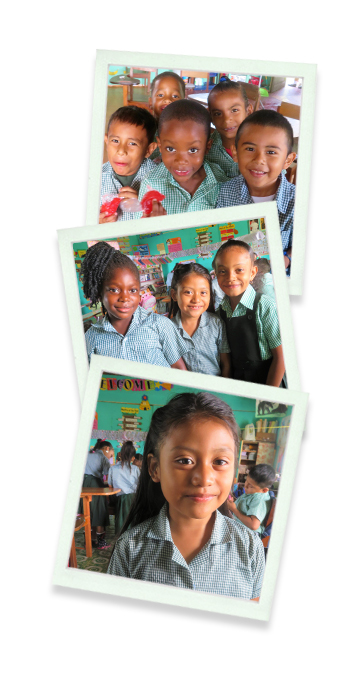 School serve over 340 children from ages 5 through 14 years old. The Toledo District is the southernmost district in Belize and is home to approximately 30,000 residents from a wide range of cultures. Known as the least developed region in the country, financial constraints limit families from buying the necessary supplies and many of the village communities have few shops nearby.